Looking to add a simple yet effective modern touch to your home? 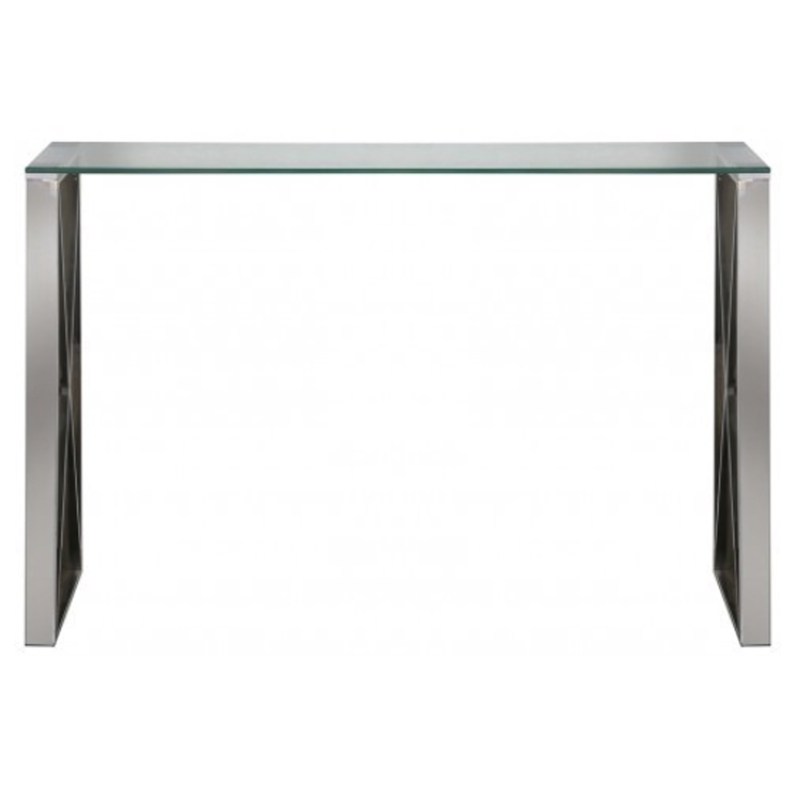 Introducing this beautiful Stainless Steel & Glass Console Table. With a clear glass top this table is held up by the shiny stainless steel base that will reflect your current interior and simmer in the light.